In this memoir of upward mobility through an unexpected route, a young black American woman signs up for lessons in yoga and clean eating as signifiers of her new middle class status, little realizing that her new lifestyle will bring her face to face with the inner demons fed by the domestic violence, addiction, and poverty she witnessed as a child. Graduating, getting established in your career, and dating another professional are things many young middle-class women expect to do and take for granted. But when your parents don't support you and you have siblings in prison, those milestones seem monumental. What does growing up poor do to your self-esteem? How do patterns of stress and family violence, poor diet and poor health continue to affect you even after you escape to a higher income bracket? And what can one woman do to turn around the cycle of racism, poverty, and intergenerational suffering? Hafiz gives a frank account of the anxiety and rewards of becoming "middle class" through a complete change of diet and adopting habits such as traveling and doing yoga. 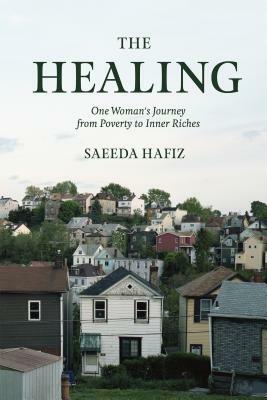 While her peers pursue one kind of African American dream by climbing the corporate ladder, Hafiz finds meaning in learning to cook macrobiotic food and practice meditation. By doing so, she recovers from chronic health conditions and heals from the family trauma she has inherited. Saeeda Hafiz is a graduate of Temple University in Philadelphia. She spent her twenties working in management, believing mainstream success was her key out. After discovering the power of yoga to transform, she took a leap of faith to train to become a yoga teacher and wellness expert. She studied yoga at the Sivananda Yoga Vedanta Centers and Ashrams and holistic nutrition at Natural Gourmet Institute in New York City and keeps a busy schedule as a yoga teacher and speaker. For the past twenty years she has held leadership positions in the YMCA, the San Francisco Unified School District, and other organizations to bring a more holistic understanding of physical and mental wellness to a diverse population. "The Healing does more than provide valuable strategies for living a healthier and more balanced life. It is also a great read. Saeeda Hafiz’s life hasn’t been an easy walk. But it has been an incredible journey. This book is a gift!"